Everyone who cares about kids, this is an event you don’t want to miss! The Partnership would like to invite you to the Smart Start 25th Anniversary Gala. 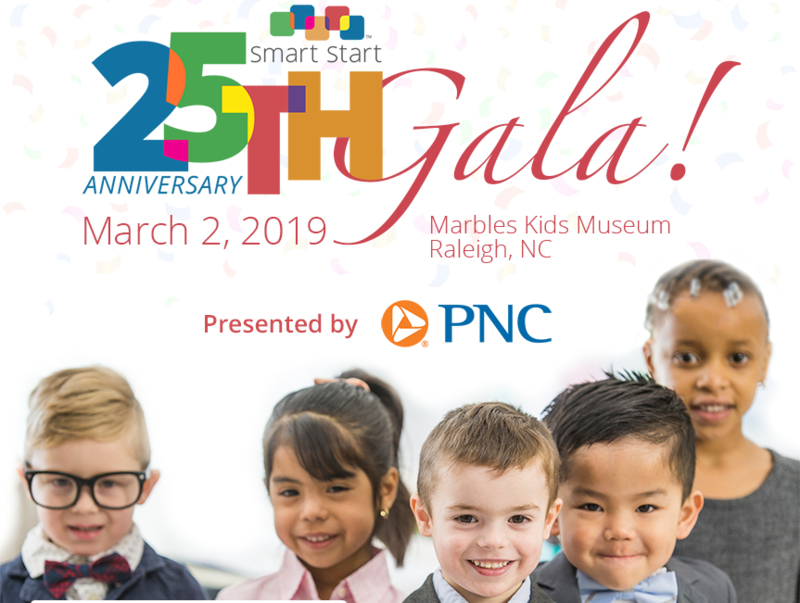 Hosted at Marbles Museum in Raleigh on March 2nd, from 7pm-11pm, it will be a night for adults to remember the joy and wonder of play, as well as honor the work of the last 25 years to build strong and vibrant children, families, and communities across North Carolina. Durham’s Partnership for Children is one of the 75 North Carolina local partnerships that make up the Smart Start network. Smart Start brought Dolly Parton’s Imagination Library to North Carolina. DPIL already donated its 1 millionth book and the numbers keep growing! 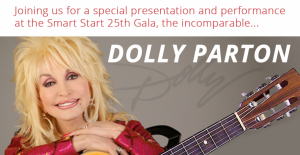 DOLLY PARTON & GOVERNOR ROY COOPER WILL ATTEND THIS EVENT! Throughout 2018 Smart Start has been celebrating 25 years of serving North Carolina’s youngest children and their families. In 1993, the North Carolina General Assembly created Smart Start, appropriating $20 million to 18 pioneer counties to begin the work of improving the quality of child care, strengthening families, and supporting healthy child development. By 1997, the funding had increased to $97 million and all 100 North Carolina counties were being served by Smart Start. Since that time, Smart Start has become a nationally recognized leader in early childhood and healthy development. Their network of early childhood partnerships provides expertise, guidance and infrastructure to ensure North Carolina children receive the care and nurturing they need to thrive. Tailored to meet the specific needs of each community, Smart Start invests in early education, literacy, health and family support so that all children are ready to succeed, lead productive lives and contribute to a strong, vibrant North Carolina.